￼￼The Superfert Soil Sampling Service is available to all our commercial farmers. This efficient service offers you the critical information required to ensure all your crop nutrition decisions are accurate, successful and cost-efficient. Sampling is done using GPS guidance. 15 – 40+ soil cores are taken (depending on the size of the field) to make up one sample. Cores are taken at a depth of between 20cm and 30cm. The amount of samples taken per field depends on the farmer. 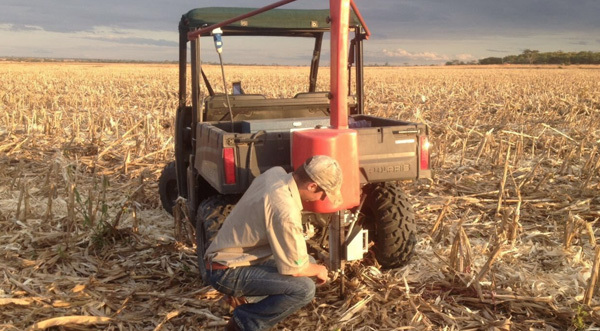 Soil brightness identifies where different soil variations are found in a field. Historic imagery is used for soil brightness, this can go as far back as 10 years. Once the soil boundaries are mapped out, separate samples are taken from within each soil boundary. Please contact us at sales@superfert.co.zw for pricing.